The new bespoke tap collection BAR by VALLONE® represents the perfect harmony of rectangular- and cylindric-only shapes, inspired by primary and essential forms. 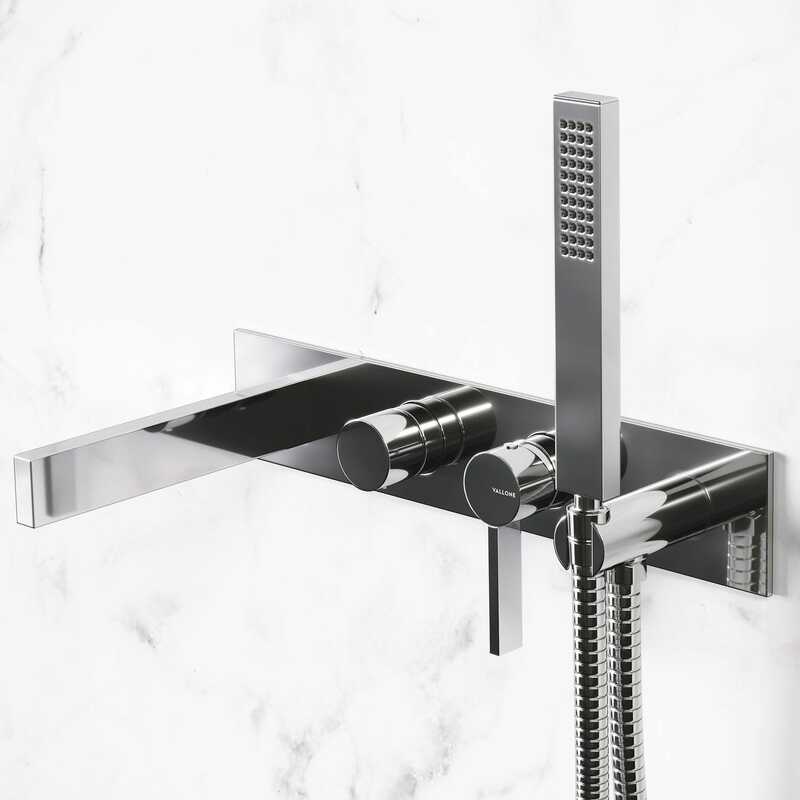 The result of the rigorous design principles during the creation process is a cutting-edge tap series, extraordinarily balanced and versatile for all environments of a contemporary bathroom. The Italian-made collection is highly compatible with modern and minimal bath interior concepts and available in chrome, matt black and british gold. Wall mounted bathtub mixer with diverter, including build-in installation parts, chrome plated brass (spout length 220mm).